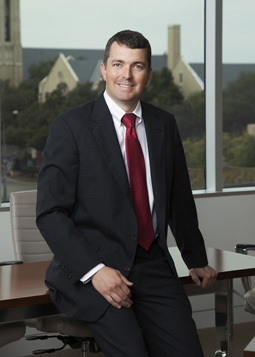 Since joining Cantey Hanger, David Speed has represented clients in complex litigation. He continues to broaden his area of practice and expertise, which now includes labor/employment, medical malpractice defense, and construction law. Won an important eviction battle involving a complex and prominent commercial/entertainment venue and received a highly contested and technical eviction. Was also able to convince the Court to issue an appeal bond much higher than the standard rate which essentially prevented the tenant from appealing. Successfully obtained a full dismissal of all claims by an in-state employer against an out-of-state employee, based on lack of jurisdiction. Successfully obtained a temporary injunction against a former employee, even though the former employee did not have a written non-competition agreement. Obtained evictions of multiple tenants in violation of applicable lease agreement in an efficient and dignified manner. Obtained jury verdict in favor of client who was injured during sporting activity. “What is a reasonable buyout? Update on physician non-compete agreements in Texas” appears in the Fort Worth Business Press, September 14, 2018.